Go Green & Earn Rewards! 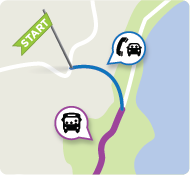 Go Vermont is a statewide resource for Vermonters who want to reduce the cost and environmental impact of driving. Sign up for Go! 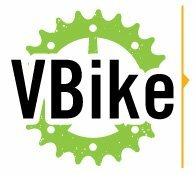 Vermont, and we’ll reward all of your green commutes, like taking the bus, walking, telecommuting, carpooling or vanpooling. We also offer the Guaranteed Ride Home benefit, in addition to free Go! 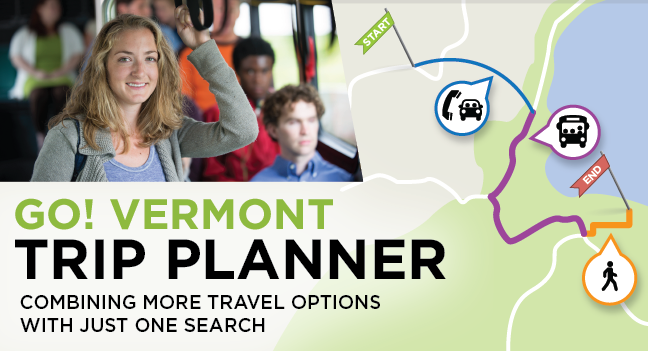 Vermont resources to help you promote more efficient travel options at work or at home. Call our Q/A hotline and a real person can answer your transportation questions. 800-685-7433. Sign up for Go! Vermont, and we’ll reward all of your green commutes.